There are, undoubtedly, plenty of people who live their lives by the idiom ‘it is better to give than to receive.’ And then there is Matt Duchene. It’s a story that’s received plenty of press over the past few days. Wayde Greer, father of Trista, an 11-year-old ‘happy go lucky little girl,’ was looking to cheer up his daughter who had been repeatedly bullied at school. His goal was to net something special at the recent Minden Flood Relief Golf Tournament auction, thus supporting his community and bringing some much needed happiness to his daughter’s life. Trista, it turns out, is a huge Boston Bruins fan and the auction featured a Bruins jersey signed by the team, including all-star NHL defenceman Zdeno Chara, Trista’s favourite player. When the bidding went far and above what he had anticipated, Wayde bowed out. Or so he thought. That’s when Matt Duchene, who, along with his father Vince (who played a large role in organizing the event), was sitting at the very same table, decided to step in. The end result? The 22-year-old Colorado forward ponied up $2,000 and a young girl got a dream birthday gift and in the process, a new favourite player. That’s just how an eight-year-old Duchene felt when after he met two of hockey’s biggest stars of the day, Paul Kariya and Teemu Selanne, courtesy of his uncle, Newell Brown, then part of the Anaheim Ducks coaching staff, now an assistant with Phoenix. Nearly 15 years later, Duchene hasn’t forgotten that day. Whether it’s a charity event in his hometown, a hospital visit in Colorado, or signing an autograph when the Avs are on the road in another NHL city, connecting with the people he meets is truly meaningful for the third overall pick in 2009. 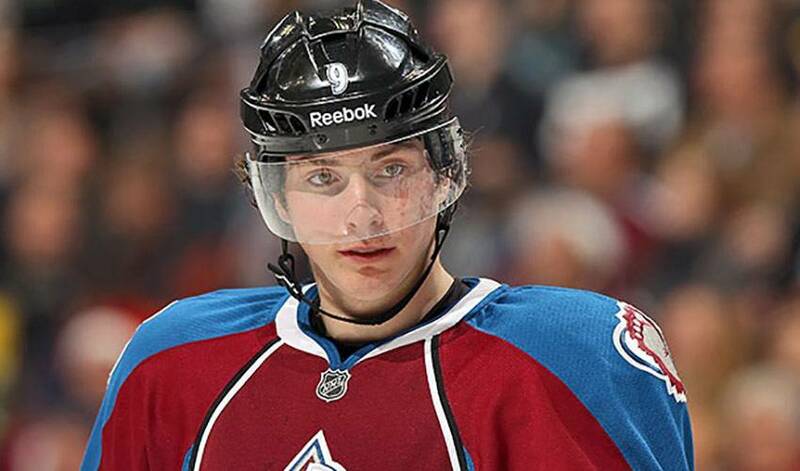 As for who takes away more those encounters, Duchene insists it’s him. If it happens to be a chat with a kid aspiring to play in the NHL, the former Ontario Hockey League standout likes to leave them with one thought. There’s an 11-year-old girl, the proud owner of a jersey that doesn’t even have Matt Duchene’s name on the back, who might beg to differ.